She is affected by brain fever and auto immune encaphilitis disease. Her reports are provided above. She is admitted from 07.06.2018 till date in PSG hospital. 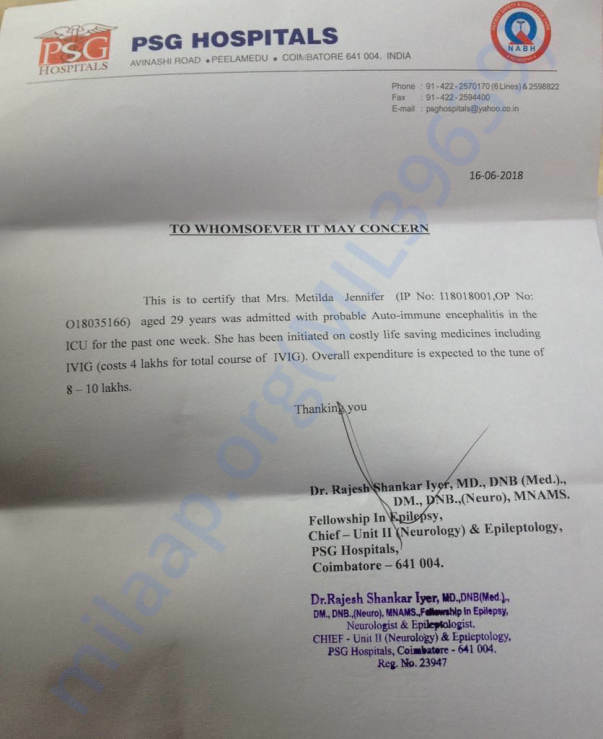 For this disease one blood test in Lister lab RS Puram, Coimbatore costs around 29000. Till date 3 lakh has been spent and her family cannot afford more. From today (15.06.2018) per day the medicine cost alone and other medicines cost 12000 and other medicines cost around 8000-10000. She is undergoing a treatment called IVIG. 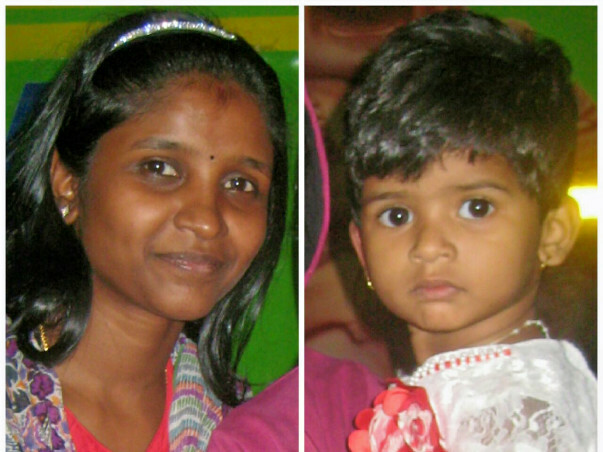 She has 3 year old girl baby who has not seen her mother for last 2 weeks. I would request your helping hands to come forward for any help. Any small help will be really a big support for the child's mother. 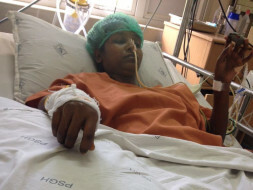 My hearty thanks for your kind support extended for my sister's medical expenses, every single help had saved her life. I have no words to express my gratitude to you. Thank you once again. IVIG treatment is going on, She gained conscious and able to recognize her family, But she is not able to hear and speak. Through actions, she is communicating, but gods grace she will recover slowly. All your prayers will help her to recover completely. The patient has regained consciousness but is not able to hear and speak. She is bedridden, not able to perform any activities. We are all hopeful about her recovery. Please keep supporting and praying. Get well soon dear.. May God will recover you soon and Bless You ..
God help her to come up soon..